But here’s an unchangeable truth with which we all need to come to grips: In the family of God women MAY NOT assume spiritual authority over and teach men in the church (1 Timothy 2:12; 1 Corinthians 14:34). No matter our abilities, talents, formal education or perceived gifting, we are NOT called to the office of pastor, elder or deacon in the church of God (1 Timothy 3:3-13). It is NOT God's will that we carry the burden of shepherding and being accountable for the souls of His people. It is NOT God's order for His Church that we sit as the head of men. Instead, the Lord's will is that we have our heads covered (1 Corinthians 11:3-10). As we enter the final weeks of commemorating Women’s History, I felt this a good a time as any to discuss the role of women in the church from a truly historical perspective - dating all the way back to Eve and based specifically on what God (who is the same yesterday, today, and forever and whose Word doesn't return to Him void) has ALREADY said about the matter. I’ll also use this opportunity to recognize the ministries of a few female pastors/preachers of recent history and discuss their contributions to the Body of Christ. Granted, by “recognize” I mean “expose” and by “discuss their contributions to the Body of Christ” I mean “demonstrate the faith-corrupting errors they're teaching God's people”. But I pray you will hear my heart as I make every effort to share with you the truth of God based on what it actually says rather than what some of us might want it to say. And if you see a female “pastor” “recognized” in this piece whom you’ve long followed or under whom you presently sit, I hope that you would prayerfully and sincerely consider testing her ministry for yourself against the Word of God and would be willing to repent and turn away from her teachings WHEN the Holy Spirit (if you are born again) makes the truth evident. This piece isn’t intended to tear down other women or to cause unnecessary division. It simply seeks to tear down their error-ridden ministries to help others won't stray away from the faith. This is all in love. Okay? Okay. Here we go. 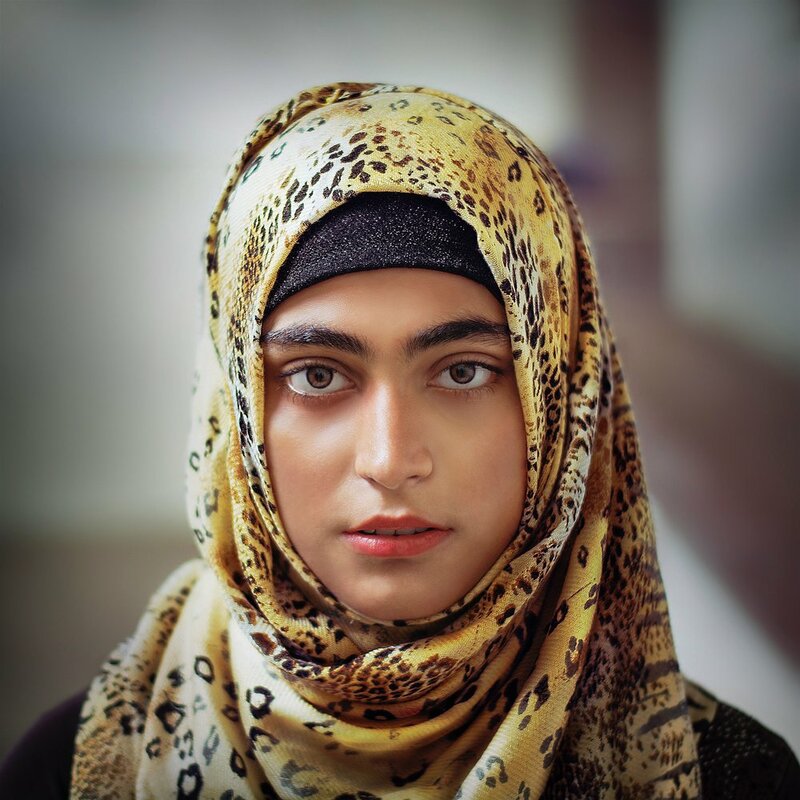 Islamic teachings and, sadly, many legalistic "Christian" denominations, twist God's call for head coverings to mean that women are required to wear hats, scarves or hijabs during worship or in mixed company. In more extreme cases, some cultures deem it an honor to God that men lord over women in a manner that is actually harsh, oppressive, disrespectful and without regard. However, the Lord's intention is that our head covering be spiritual and mirror the covering Christ has over His Church, which He LOVES. Men being the head of women in the church and in the family doesn't mean women are less valued than men in the eyes of God (Galatians 3:28; 1 Corinthians 11:11-12). If anything, one could argue it demonstrates our value as the Lord has instituted a means for our protection (1 Peter 3:7; Ephesians 5:25-28). In Christ, women are one with and equal to men (Colossians 3:11). Yet there remains the ministry of submission for the sake of order in spiritual and familial matters (Ephesians 5:21-23; James 4:7; 1 Corinthians 15:27-28). When women buck at the idea of submission, we inadvertently mock our Savior Jesus Christ, Who is one with and equal to the Father in the Godhead, but is submitted to Him for the Gospel's sake (Philippians 2:7; Matthew 20:28) . If Jesus, who is Lord of all, can submit, who are we to scoff at the concept? What a wonderful display of true humility when one who has an ability to act on her own free will yields to the will of God. Yet, the concept of submission is held in contempt as many ascribe to it a worldly connotation and demonstration. There are too many with minds that remain conformed to this world, thus they dare attempt to force the church to abide by the world’s perception of matters that can only be rightly understood and exemplified through God’s Spirit. The world perverts everything of God because it is in a fallen state. And it is in a fallen state because of sin, which entered the world after Eve, being deceived by Satan, ate of the forbidden tree and passed it along to Adam, who partook (Genesis 3:6). "And I do not permit a woman to teach or to have authority over a man, but to be in silence. For Adam was formed first, then Eve. And Adam was not deceived, but the woman being deceived, fell into transgression" 1 Timothy 2:12-14. "Nevertheless death reigned from Adam to Moses, even over those who had not sinned according to the likeness of the transgression of Adam, who is a type of Him who was to come. But the free gift is not like the offense. For if by the one man’s offense many died, much more the grace of God and the gift by the grace of the one Man, Jesus Christ, abounded to many" Romans 5:14-15. Eve, the first woman, was deceived. God told Adam not to eat of the tree, and it is evident Eve got the memo (Genesis 2:15, 3:2-3). But satan deceived Eve. Eve passed the deception to Adam. Adam neglected to refute the lie and instead willingly went along with it. God came to see about the matter after Adam ate, noticeably addressing Adam first. Adam blamed Eve. Eve blamed the serpent (satan). God, being just, cursed the serpent and punished Adam and Eve for their respective parts in the transgression (Genesis 3). But, interestingly, Scripture holds up Adam as the one through whom mankind fell. Romans 5 names Adam as mankind’s federal head and through him sin and death entered the world and was imputed onto all mankind. Through Adam, all mankind are born with a sin nature and subject to the wrath of God (Romans 5:12, 19).For this reason, Christ, aka "the Last Adam”, came in the flesh as a Man to undo the effects of Adam's sin and make all things new (Romans 5:15-21). All of this is what makes women functioning as pastors so ironic. We lost communion and peace with God as a result of the fall, which was first set into motion when Eve disobeyed God's commandment. Christ laid down His life to restore our peace and a relationship with God that those who Believe can worship Him in spirit and truth forever. Yet we’ve got deceived women in houses of worship disobeying God's commandment...in the Christ's name! And like Adam, there are actually men just standing there allowing these women to fall into transgression, sitting under their teachings and, for whatever reason, failing to refute their deception with God's truth. It's like history, as much as it depends on the sins of man, is repeating itself. "So when the woman saw that the tree was good for food, that it was pleasant to the eyes, and a tree desirable to make one wise, she took of its fruit and ate. She also gave to her husband with her, and he ate" (Genesis 3:6). And history shows us such disobedience doesn't end well. My sisters, hear me: The SINGLE prohibition against shepherding the people of God is for our good. It isn't about our inability to understand the Bible or have a solid grasp of the Word. And it is separate and apart from the great commission to share the Gospel and make disciples. It's about order in the church. It's about having "a symbol of authority on our heads because of the angels", which tells us this is about spiritual decency and order. It's about spiritual warfare. It’s about our ultimate submission to and corporate worship of God to whom all glory belongs. Evidently there's layers to this that go much deeper than mere gender roles. As we can see from the story of Adam and Eve, God's standards have natural AND spiritual implications. We should be sure to take heed. In the Godhead, the Son ONLY does the will of the Father and the Holy Spirit ONLY speaks what He hears (John 6:38, 16:13). The angles in Heaven are ranked and have different roles. Even demons know to stay in their lane! (Seriously, have you ever heard of a demon breaking rank to usurp satan?) But mankind just can't seem to get it together in the church! Meanwhile, we are in a spiritual battle and satan’s minions have crept in unawares as we're distracted by pride, worldly ambition, and 3rd wave feminism. Indeed, some of these minions are deceived women who, like Eve, have listened to satan and second-guessed what God said. "Did God really say women can't be pastors/preach in church?" YES! He did. Which is why wherever you find women functioning in such capacities in the church, you will find a flock being exposed to grievous error. Anyone filled with God’s Spirit (men and women in Christ) can speak forth the Word of God, which is fully revealed in Jesus Christ (Joel 2:28-29; Acts 2:17; John 5:29; Hebrews 1:1-4; 2 Corinthians 2:6-16). But that doesn’t mean anyone can serve as a pastor, an elder or a deacon or function in that manner from the pulpit. The difference is one is an ability that is graced to all born again Believers by the Spirit of God, and the other is an assignment in the local church per the ordinance of God. Women can evangelize (proclaim Christ and His Gospel to the lost, Matthew 6:18-20; John 4:28-29; Philippians 4:3), defend the faith (give an answer for our hope, 1 Peter 3:15; Philippians 1:75), engage in spiritual warfare (refute satan’s lies with God’s truth, 2 Corinthians 10:5; Ephesians 6:10-18), pray for the Body of believers (Ephesians 6:18), encourage our faith family (Colossians 3:16), and teach other women and children in the church the things of God (Titus 2:4; 2 Timothy 1:5). The Apostle Paul who said “I do not permit a woman to teach or to assume authority over a man” (1 Timothy 2:12) is the same Apostle Paul who said “And I urge you also, true companion, help these women who labored with me in the gospel” (Philippians 4:3). Sisters, women do, indeed, have a place in the family of God and sharing the Good News with the lost. But a woman functioning as an overseer in the local church is out of order, and it is a sign of one in rebellion to the Word of God. If a woman is willing to openly rebel in this one area, it’s a sign she’s already deceived, making her prime for satan’s schemes in other areas. Of course, there are many who would argue against this point, so I recently challenged proponents of female pastors to submit links to sermons by women they believed faithfully preach/teach their congregants the Word of God. I figured, together, we could explore these ministries and determine if these women truly are sound in the faith and faithfully preach it. While many immediately came out of the woodworks to mock and beat back God's admonition against female pastors, it took a couple of days before anyone responded to the challenge. When I finally did get responses, only two brave souls were willing to submit names. One young lady sent in links to sermons by Heather Lindsey and another sincerely named Joyce Meyer as a solid teacher. Yet another individual threw Beth Moore’s name in the hat, but he admitted he was only being facetious. So there we have it. 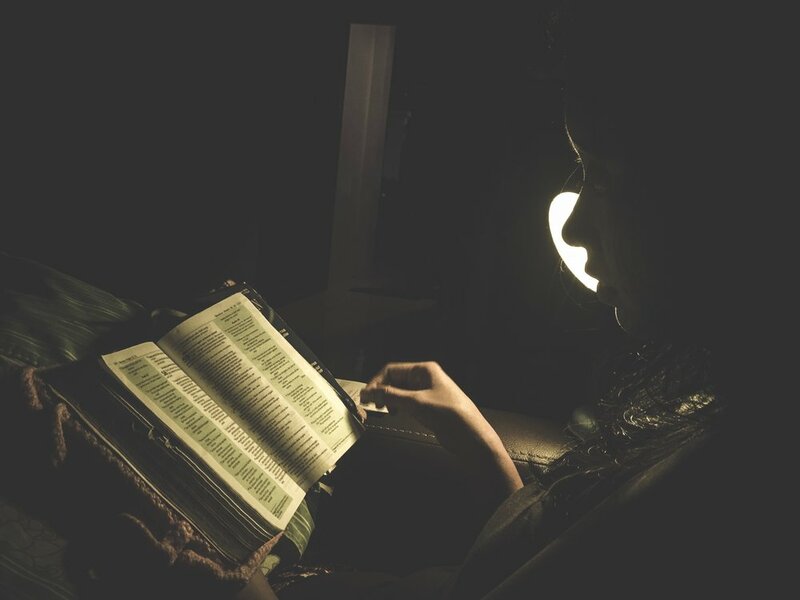 While the case against female pastors is clear and heavily supported in God’s Word, proponents for female pastors rest their case on Heather Lindsey and Joyce Meyer. We already know Whose case is stronger, but in keeping with the challenge, I took some time to research (and revisit) the ministries of these women, as well as the ministries of a few other female “pastors” along the way. In the interest of space, those profiles will be published throughout the remainder of Women’s History Month (and possibly beyond). A link to each profile will be available at the below this article as they are published. The Body benefits when everyone stays in their lane and serves in the function for which we are qualified, equipped and approved by God, according to His Word. There is nothing wrong with being the Body’s “feet” and allowing the “hands” to do what they were designed to do and vice versa. As Paul makes clear, we are one body made up of different parts, ALL working together in the same Spirit for the glory of God (1 Corinthians 12). Just because you don’t serve the church in a particular role or gifting doesn’t mean you aren’t still valuable to and part of the body. But the second you attempt to assume the function of another Body part, everything else goes awry. Certainly, one can can walk on his hands and pick up things with his feet, but having to do that does more to expose that there is a defect in the Body than it demonstrates the strength of the part serving in lieu of what was originally designed for the job. In other words, where there are female “pastors” (or women functioning as such), it’s safe to say something is wrong in that church AND awry in that woman’s knowledge of God and His Word. Granted, there are unfaithful men abusing their position as overseers, but those men are also storing up for themselves the wrath of God. We need't worry. God is holding those men accountable. And because to whom much is given, much is required, God is going to require much from those who were unfaithful stewards of what is entrusted to them. In the meantime, however, it is not our place to overthrow God’s ordinance that we might take the helm of the church, as if in doing this we do God a service. The nerve! The audacity! The unmitigated gall! Rebellion cannot be explained away and will never be justified. God grants us grace in our ignorance, but there remains consequences for even that. So He definitely isn’t going to give people a pass for knowingly rebelling against Him, even if they foolishly believe they had a good reason (Luke 12:45-48). There are many ways to serve the Lord and be in service to the Body in general and our local churches in particular. Ladies, please don’t be deceived into focusing more on a single prohibition when there are ALL of these other trees in the garden from which we MAY eat. Eve was tricked into doing that very thing. How's that working out for us? (Genesis 3:16) Here we are, thousands of years later, seeking to validate our worth in this fallen society with a month when God validated us from day one. "So God created man in His own image; in the image of God He created him; male and female He created them" (Genesis 1:27). Eve was the glory of Adam yet also shared in Adam's value as having been created in the image of God. She came on the scene with intrinsic value and purpose (Genesis 2:18). Poor thing just got tricked into believing she needed something more, and this deception is pervasive among the undiscerning even to this day. Cheers to women’s history, indeed! And now, let’s get into these female “pastor” profiles, shall we? Select a profile below. More profiles to be added. Please check back soon!